- Acquisition of a site for a new headquarters to be built outside the park is authorized by Congressional Act of 6/27/1960. A new high-level bridge is opened over the Nisqually River near the glacier. - Camp Schurman Cabin (construction started 1958 by the Schurman Cabin Association) is completed at Steamboat Prow at 9,702 foot elevation. It is intended as an "inclement weather shelter for those climbing via the Emmons Glacier route. Ohanapecosh Campground is expanded and other campgrounds and picnic areas are improved thanks to Mission 66 funding. - World Conference of National Parks is held in Seattle in July. Increased travel to the park is partly due to the World's Fair being held in Seattle. There are 1,905,302 visitors this year, 31,427 in a single day. - More camping space is needed. A new campground is opened at Paradise 8/14/1963. A gigantic rockslide on 12/14/1963, starting near the base of Little Tahoma peak, covers the lower four miles of the Emmons Glacier with an estimated 14 million cubic yards of debris. The flow probably starts by a small steam explosion. - The Wilderness Act is passed by the US Congress and signed by the president. Land near Ashford is acquired from the Weyerhaeuser Co. for a new park headquarters. Cougar Rock Campground is opened and Longmire Campground closes. The Clark E. Schurman Memorial Shelter at Steamboat Prow is dedicated in August, and a new Ohanapecosh Visitor Center is dedicated in October. 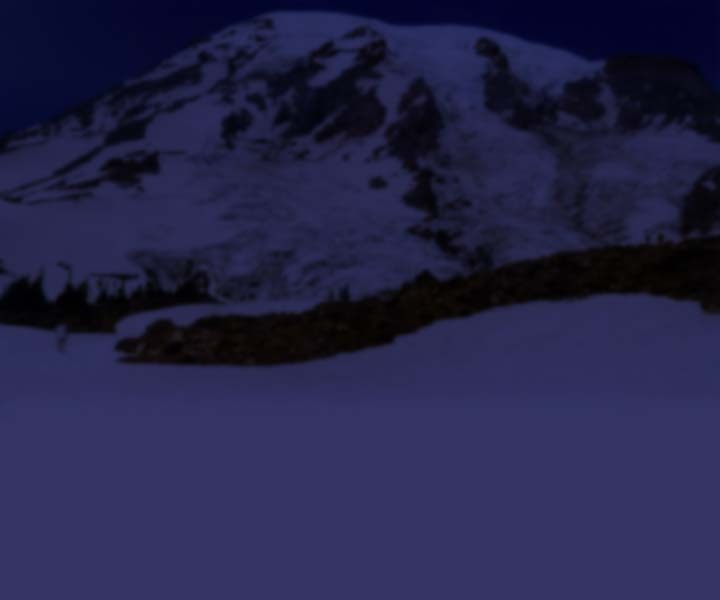 - Winter climbs of Mount Rainier are authorized. Four are attempted, only one successful. A DC-6 plane, chartered by the US Air Force flies into Mount Rainier at the 10,000 level of upper South Mowich Glacier on 4/23/1965. All five men aboard are killed. A second plane crashes near Pyramid Peak with four aboard. It is not found until 1973. Paradise Lodge is torn down and burned as the new Paradise Visitor Center ("Day Use Facility") is built. No new hotel is planned. - The park coordinates mountain rescues with Western Air Rescue Center at McChord Air Force Base. The Paradise Visitor Center (in 1987 dedicated as the Henry M. Jackson Visitor Center), is opened to the public in September. Plans are accepted for a shift of Park Headquarters from Longmire to Tahoma Woods. - John A. Townsley, the new Mount Rainier National Park Superintendent, concentrates on back country resources. In September the National Park Service publicizes administrative policies for natural areas. This set guidance for park Master Plans, and introduces methods by which Wilderness Areas within the parks are to be identified. - A cooperative Forest Service/National Park Service exhibit area floods out by the White River in June. Steam and smoke is seen rising from the west side of Mount Rainier in August. - The Mountaineers present "Recommendations for Future Development of Mount Rainier National Park" to the park service. Closure proposal of West Side Road and the road to Mowich Lake by the National Park Service presented.